Joel Griswold successfully defends clients in consumer and employment class actions across the country, including, but not limited to, biometric privacy litigation and compliance, including defending actions arising under the Illinois Biometric Information Privacy Act (BIPA); matters asserting claims under the Fair Credit Reporting Act (FCRA); Fair and Accurate Credit Transactions Act (FACTA); Fair Labor Standards Act (FLSA); Americans With Disabilities Act (ADA); Video Privacy Protection Act (VPPA), and the panoply of other federal and state consumer protection laws. In addition, he regularly represents and counsels end users (including employers), furnishers and consumer reporting agencies in relation to FCRA compliance and interplay with various state and local laws. Counseling and representing retailers on a wide spectrum of issues, Joel’s knowledge of this rapidly changing industry allows him to anticipate and resolve concerns before they become liabilities. 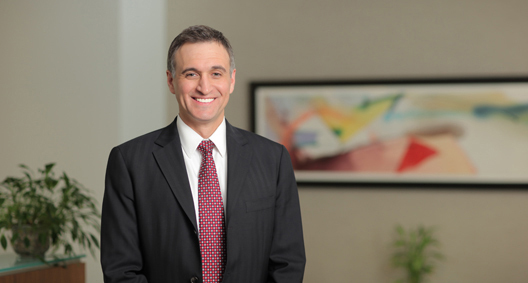 A regular presenter at the annual Retail Industry Leaders Association (RILA) Law Conference, he speaks on innovative topics involving class action litigation. Joel has been recognized by The Legal 500 United States (2018). Representing various hotels, retailers, transportation companies, and health care institutions in several putative class actions arising under the BIPA. For a large department store chain, won motion to dismiss putative nationwide FCRA class action and California state law class actions alleging improper disclosure and authorization. For a large food manufacturer, won a motion to dismiss putative nationwide FCRA class action alleging improper disclosure and authorization. For a large bank, won motion to dismiss putative nationwide FCRA class action alleging unauthorized credit inquiries on consumers after the discharge of debts through bankruptcy. For a large consumer reporting agency, successfully defended against a putative nationwide FCRA class action alleging improper disclosure and authorization where, in response to a motion to dismiss, the plaintiff voluntarily withdrew his class claim rather than respond. For one of the world’s largest security companies, successfully defended against a putative nationwide FCRA class action by procuring a voluntary dismissal at the pleading stage. For a large department store chain, defeated class certification of putative nationwide ADA Title III class action asserting lack of access between movable display racks. Defending several retailers in ADA Title III actions asserting a lack of access regarding retailer websites. Successfully defends against putative nationwide collective and statewide class actions asserting off-the-clock and misclassification claims brought against clients across the country, defeating certification or resolving cases on an individual settlement or “walk away” basis. Successfully obtained dismissal of a putative nationwide FCRA class action by a rejected employment applicant alleging failure to obtain prior consent for background checks and failure to provide pre-adverse action notice. Successfully obtained plaintiff's voluntary abandonment of putative nationwide FACTA class action at motion to dismiss stage in case alleging FACTA violations based on inclusion of credit card expiration dates on documents. Successfully represented an international retailer in resolving a putative nationwide FACTA class action on an individual basis. Successfully obtained plaintiff's voluntary abandonment of putative nationwide VPPA class action alleging a retailer's data retention practices violated the VPPA. Obtained judgment on behalf of the sheriff and internal affairs investigators in a lawsuit brought by former corrections officers who alleged they were subjected to retaliation for allegedly speaking out about mistreatment of inmates at a corrections facility, in violation of First Amendment rights. Affirmed by the Seventh Circuit. Regularly counsels clients on a broad spectrum of employment and business issues, including pay practices, dispute resolutions, and issues arising under the ADA, Title VII and FMLA.